Sara Jenkins is based in New York City, where she has developed a reputation as a fine rustic Italian chef. At Porsena she draws on memories of her Tuscan and Roman childhood to create a pasta-centric menu featuring Italy's finest artisanal pastas. 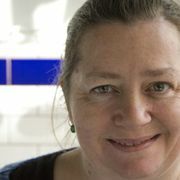 In 2008 she opened Porchetta, a wildly successful storefront in the East Village focusing on porchetta, a richly seasoned roast pork common in Italy as street or festival food, sold out of a truck as a sandwich. Wherever Jenkins cooks, she creates excitement with cuisine based on the Mediterranean flavors she grew up with. As a chef, avid home cook, and cookbook author myself it was very interesting to be presented with these two cookbooks. I was very excited to read about Mourad Lahlou's interpretive, modern Moroccan food because with a Moroccan husband it's a cuisine that we talk about a lot and one that interests both of us from an emotional and technical point of view. Nancy Silverton's latest book interested me because she is cooking Italian food, my métier, and I know she has a house in Umbria not far from mine so I like to think there is a lot of shared experience in that region even if we don't actually hang out together. When I wrote my cookbook I really concentrated on homestyle cooking and making my recipes be workable in a home kitchen both in terms of technique and time expenditure. I tried to be precise but also to encourage flexibility. After testing my recipes, I also made sure that with a few exceptions they could be prepared easily in an afternoon or sometime between after work and dinner. For me it's the Italian way. There are many recipes that can take a long time and require the work of many hands, but most Italians can and do prepare a 3-course meal every night in about an hour with readily available ingredients and a well-stocked pantry. I am less familiar with the average time it takes to put a meal on the table in Morocco, although certainly my mother-in-law doesn't spend too much time on the daily lunch and dinner. She doesn't have enough hands and I suspect she doesn't have that much interest. Nonetheless, anytime I stay with her it seems like we eat all day. 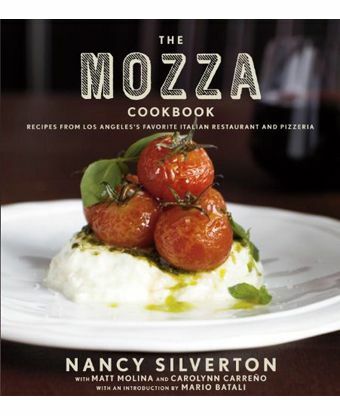 Both New Moroccan and The Mozza Cookbook amaze me with the complexity of their recipes. There doesn't really seem to be anything in either one that can be produced without backtracking through the book several times, so that really to make one dish actually requires making four or even five different recipes all of which produce leftovers. As a working parent, I don't have the leisure of spending days shopping for obscure ingredients (rye flour, black cardamom, sweetbreads) and I suspect most people cooking at home feel the same way. The first recipe I decide to test was Beghrir, a mythical pancake it seems for most Moroccans (certainly for Mourad and my husband!) which I have tried to make before with no success. I made the batter twice and each time it didn't quite work. In frustration, my husband and I turned to YouTube and watched several different clips of Moroccan women making the pancakes in Morocco and here. We adapted one of the recipes and made perfect Beghrir. The big difference seemed to be the addition of an egg to the recipe in the YouTube videos. While I'm sad that Mourad's recipe doesn't work, I'm delighted to have finally learned how to make it, inspired if not informed by him. Next I turn to pizza dough from Mozza. Nancy Silverton is justifiably a legendary baker and I have used her dessert books many times for my own inspiration and reference. She has a reputation for well-tested recipes and as a so-so baker myself it seemed like a good way to test the book. It still took me awhile to hunt down ingredients like rye flour, which I discovered I only needed 2 tablespoons of (I wonder could I have substituted any dark flour, such as the buckwheat flour I found at my local deli?) For all of that, the explanations were clear and the recipe did exactly what it was supposed to do. The dough was beautiful and easy, and indeed made a delicious pizza in my not-so-great home oven. I decided to cook Mourad's fish baked in salt, as his memories of eating that dish reminded me of the first time I went to Morocco. In a jetlagged haze, I had an amazing lunch in a little restaurant on the water in Casablanca where I ate a broiled oyster with Sabayon sauce that I still remember 20 years later, plus a salt-baked fish cracked open by the waiter and deftly fileted and plated in front of us. I think it's a magnificent way to cook fish, and Mourad's recipe incorporating Moroccan spices into the salt crust seemed lovely. The spices perfumed the delicate flavor to the fish — using them is a technique I will definitely steal for life. Onwards to a soup, I chose the carrot and orange soup. For a simple carrot puree it had a lot of complicated ingredients and steps, sachet bags of spices, fresh ground Aziza curry powder, fresh carrot juice, and orange flower water (I think I threw my bottle away three years ago in the midst of a kitchen purge) but it is worth the effort. The soup was delicate and beautiful, and the mint and citrus garnish and the beautiful orange puree are a wonderfully evocative interpretation of the classic Moroccan carrot and orange salad. I come back to The Mozza Cookbook to try my hand at the sweetbreads. I selected them because I love them, and because I mistakenly thought it was not that complicated a recipe. But wait! Before I can even begin to make the sweetbreads I have to make braised artichokes (about an hour), chicken stock (two hours), and sautéed cavolo nero (about half an hour). I cheat and steal chicken stock from the restaurant, but the rest I still have to gather, prep, and cook. It takes about two days to get everything together, but the recipe is delicious and again the instructions are clear. I don't mind long and involved recipes, and I admire the spirit of explaining how a restaurant chef cooks food in a restaurant. Still in both books — but particularly in Mozza, which is representing a cuisine I know to be filled with fairly simple combinations — I wish there had been more recipes that could be tackled easily in a couple of hours for a regular dinner at home. While I have not eaten in Aziza or Mozza, I feel from reading the books that Mourad's food is fancier and based on complicated techniques and rare ingredients. It makes it easier to forgive him for not having more easily accessible or easy to execute recipes. His book really is about complex techniques and combinations and perhaps because the cuisine is so much less familiar to me than the Italian food presented in Mozza, it is the book that I will advance, the book that I will keep and turn to for flavor inspirations and ideas and thoughts on modern Moroccan food. The recipes in Mozza work flawlessly, but they are too complicated for every day cooking and I know the cuisine too well to need it for inspiration. 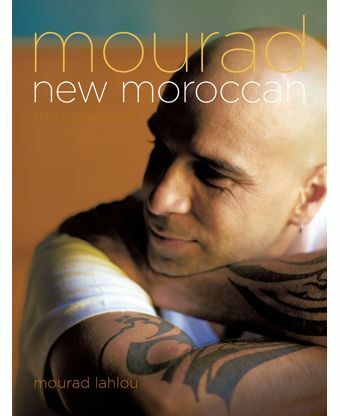 It's a hard choice because both books have their strengths, but in the end I find New Moroccan the more exciting book. Both the ingredients and the combinations are less familiar — and that for me is always more interesting. I dined at Aziza in the early days and the dishes had a clear as a bell vividness, not seemingly complicated, but exciting. I've only been to Pizz Mozza, but great. Would love both books. Everything I have made from Mourad has worked, but as Sara says...they are not easy. Most recipes require you to make several other ingredients frist --- but this is the kind of cooking that separates my passion from my need to feed the family 5 nights a week. Another great review--I'm buying the book right now! Wonderful, thoughtful, engaging, and well written review! I'm trying those Moroccan pancakes, with your suggestion of an egg, of course! Thank you, Sara, for such a thoughtful review. P.S. Sara's cookbook Olives and Oranges is great. Check it out! Hear, hear. Very helpful review - feel like I know more about each cookbook for reading it. Well, done, Sara! Now, off to peek at New Moroccan in the local bookstore. What a lovely review, and Sara Jenkins was the perfect choice to write the review. She tackled it in an interesting, personal way, and I absolutely loved reading this, especially since she really liked both books and gave her reasons for her choice. Thank you, Sara, for spending so much time to pass your thoughts on to us. Sara Jenkins' review is fantastic - she really took time to evaluate the books, cook from them and then made her choice based on practicality. I have to agree - I've eaten at Mozza and it's fantastic - but Mourad jumped out at me from the last round. Sometimes we can forgive a little more complicated process in a recipe when it's a new cuisine in our repertoire. I might even buy both these books, but now I'm forewarned that Mozza, for me, might be more for a pleasureable read rather than a book I rely on for recipes. Just a note, though, to anyone who has not yet seen Sara's book Olives and Oranges, it is one of my go to books and one I've bought as a gift for and recommended to many friends. The Mediterranean recipes are just in line with the style she espouses - doable for a weeknight dinner, simple, clear and full of great ingredients. Perhaps my favorite is the favorite is the kale and farro soup with a fried egg on top! Even my kale challenged family loves it! Thanks Sara! Oooh, healthier! Thanks for that recommendation. I'm always looking for good gift items for my sister and Sara's book sounds like just the ticket! I'm SO glad to have a judge today who actually cooked from the two books! Imho how else can you REALLY know that a cookbook does or does not work for you? Now that's the kind of review I like! I didn't know as I was reading which book was going to move on, but it didn't matter. It was well thought out and she cooked from both books so her decision was justified and fair. Thanks Sara! Yes, thoughtful, reasoned review, carefully written. I appreciate her distinction between cooking for or in a restaurant and cooking at home, whether one is a professional or not. Regardless, time is sometimes of the essence in many ways. Beautifully written and thoughtful review! Thanks to Sara, for sharing not only her experience with the two books, but the background that informed her choices.